Tired of being lost in the crowd? 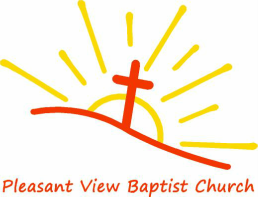 At Pleasant View Baptist Church, everybody is somebody. We love you like family and miss you when you're not here! Come join us this Sunday! Come home to Pleasant View. Check out our links to find out more about us. Designed by Higher Ground Coaching.